If you have been looking to enroll in an online course, then now is the best time. 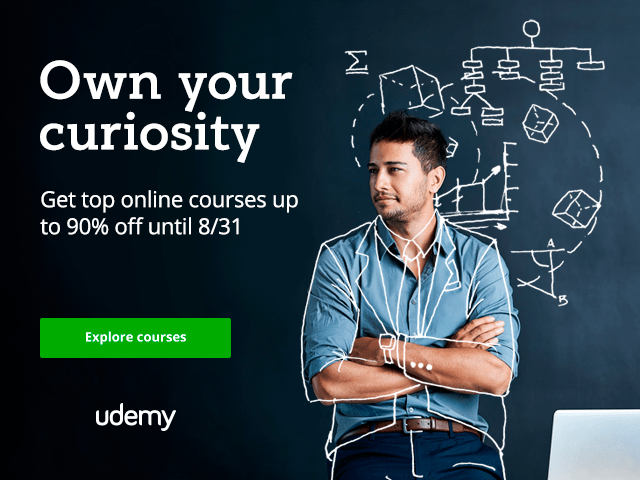 Starting 21st of August 2017 till 31st of August, all Udemy courses will be available for just $10 each. Around 50,000 courses are on sale, pick a course from 140+ topics and develop your skills. If you find this offer interesting, please share it with your friends on social media so it can reach others as well. We look forward to bringing more deals like this in future as well. Do follow us on Twitter and Facebook if you haven’t already. We post some of the best and exclusive deals on our social media channels every now and then, make sure to check them out.